keralatoursglobal | Krishnapuram Palace, Kayamkulam, Alappuzha. Enquiry about Krishnapuram Palace, Kayamkulam, Alappuzha. 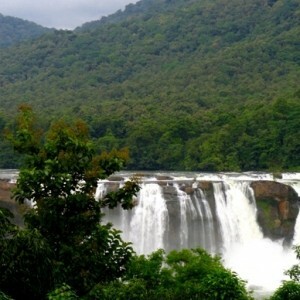 Krishnapuram Palace is popular for its traditional architecture of Kerala, situated near Alappuzha. 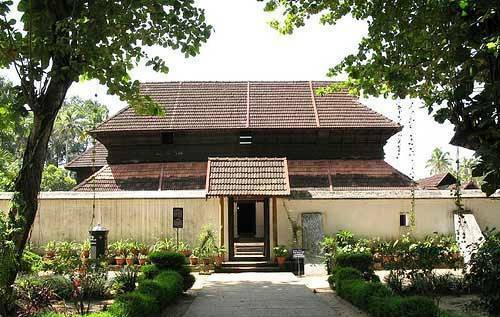 This palace was built by Anizham Thirunal Marthanda Varma in the 18th Century during Travancore dynasty. The palace is attractive with its gabled roofs, narrow corridors, dormer windows and pent roofs, all examples of the unique Kerala-style. An 18th century mural depicting of the story of Gajendra Moksham (salvation of elephant) is a major attraction here, this exquisite piece of art is one of the largest murals in Kerala and is a fantastic blend of colours and expression. The palace was named after the nearby Krishnaswamy Temple, to honour the presiding deity. The Krishnapuram Palace houses a museum with the belonging of the then Travancore Ruler Maharaja Marthanda Varma, antiques, paintings, sculptures, coins, weapons, traditional utensils, bronze artefacts and stone inscriptions. The Kayamkulam Val (‘Val’ means “sword”) is an important exhibit in the museum. The significance of the sword is that it’s both sides are sharpened and thus it is more dangerous than any other martial weapon. The palace also features a large pond within the palace complex. It is believed that there is an underground escape route that passes from the bottom of the pond. This escape route was created to flee away from enemies.The museum in the Krishnapuram Palace also has a copy of Sanskrit Bible printed in Calcutta (Kolkata) in 1886.